Shop SheaMoisture Raw Shea Butter Soap (8 oz. )8 oz. $579$5 and 79 cents$0.72 / oz. 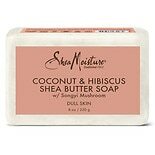 Shop SheaMoisture Coconut & Hibiscus Shea Butter Soap (8 oz. )8 oz. Shop SheaMoisture Olive & Green Tea Shea Butter Soap (8 oz. )8 oz. 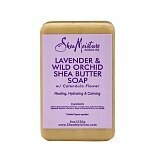 Shop SheaMoisture Lavender & Wild Orchid Shea Butter Soap (8 oz. )8 oz. $429$4 and 29 cents$0.54 / oz. 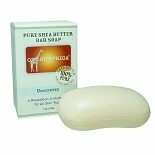 Shop Out Of Africa Pure Shea Butter Bar Soap Unscented (4 oz. )4 oz. $299$2 and 99 cents$0.80 / oz. 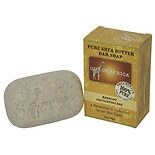 Shop Out Of Africa Pure Shea Butter Bar Soap Vanilla (4 oz. )4 oz. 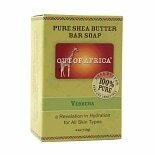 Shop Out Of Africa Pure Shea Butter Bar Soap Verbena (4 oz. )4 oz. $299$2 and 99 cents$0.75 / oz. Shop Out Of Africa Organic Shea Butter Bar Soap Apricot Exfoliating Bar (4 oz. )4 oz. $399$3 and 99 cents$1.06 / oz.